Khangela Lodge, Kuleni Game Park. 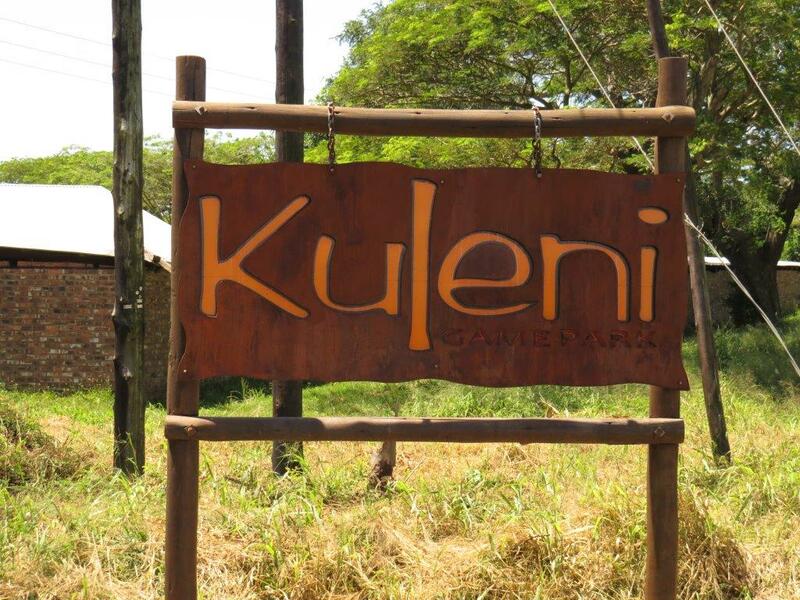 Khangela Lodge is located in the Kuleni Game Park. The turnoff to Kuleni is on the left about 15 kms from Hluhluwe railway crossing on the way towards Sodwana – just past Badenhorst Broedery on the left. The lodge consists of a communal lounge, dining area and kitchen with a deck and pool overlooking a private waterhole. Then there are 3 free-standing double bed rooms each with their own bathroom including an extra outdoor shower. Khangela Lodge Deck, pool and communal area. Khangela Lodge – 2 of the 3 bedrooms. The Kuleni Game Park habitat is predominantly coastal sand forest interspersed with the odd waterhole and grassland areas. There are a number of walking trails through the bush. Bird hide and waterhole found on the Central Park Trail. Waterhole from the deck of another Lodge. Sally and I visited friends there and prepared a bird list for them – based solely on what we saw and or heard during the three days that we were there. In all we accounted for 72 different bird species. (We were told that the total bird list for Kuleni was over 300 species). Most of our birding was done on foot. Each morning we were up with the sparrows leaving the lodge at 05h30. The first day we circled the outer edges of the game park – taking just over 3 hours. On the other days we explored several of the trails also taking over 3 hours. Animals are free to roam throughout the Park. There are none of the big five but Giraffe, Warthog, Nyala, Wildebeest, Kudu, Zebra & Impala are regularly seen. of course there are many butterflies to be seen too. Giraffe – free to wander anywhere in the Park. All three Apalises, African Emerald & Red-chested Cuckoo, Southern-banded Snake-Eagle, Blue-mantled Crested-Flycatcher, African Pygmy & Striped Kingfisher, Green Malkoha, Eastern Nicator, Fiery-necked Nightjar, Bearded & Brown Scrub-Robin, Black Sparrowhawk, Grey Sunbird & Purple-banded Sunbird in partial eclipse plumage, Green & Pink-throated Twinspots, Grey Waxbill. This entry was posted in Home, Posts, Reports and tagged Khangela Lodge, Kuleni Game Park. Bookmark the permalink.